the geordie times online (newcastle united archive fanzine): LIVERBIRDS IN LIMBO! Wor home game v The Liverbirds haz been pencilled in for Sunday May 5th with a '4:30 bells' kick off for live telly! HOWEVER! Az the 'Mickey Mousers' beat Porto 2-0 in The Champions Leegue qwaataa final forst leg last neet at Anfeeeld, its looks highly likely that they will progress to the semi final stage, which meeenz that the game will be put back a day, az the semis are on the following Tuesday/Wedinzday! 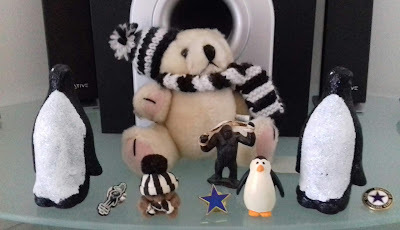 If it IZ put back, there iz still nee kick off time for this game on the Saturday and it will be played at eethaa '12:30 bells' OR '5:30 bells' for live telly!---we just don't know!? The 2nd leg of The Champions Leegue game will be played on Wedinzday 17th April---and anly then will we find oot wot day (but not wot time) it will definatly be played on! "IT'S ANOTHAA FIXTURE FARCE FOLKS!"